If you live in Dearborn or the surrounding area in MI, then you have picked the perfect site to find a veterinarian. Clients are urged to request a tour of Dearborn Family Pet Care. We want you and your pet to feel at home with us! We have a number of resources for you to learn about how to take better care of your pets. Browse around and look at our articles and pet videos. The best veterinary care for animals is ongoing nutrition and problem prevention. If you want to ask a question call 313.561.5920 and we'll promptly get back to you. Our Dearborn veterinarian office is very easy to get to, and you can find directions on our Contact Us page. You can also subscribe to our newsletter which is created especially for Dearborn pet owners. In between your veterinary visits, your pet will benefit from you reading these free informative articles. At Dearborn Family Pet Care, we treat your pets like the valued family members they are. "Dr. Pohl is awesome. Not only does she care for pets she cares for their owners and her compassion is genuine! Poncho and Cisco are in awesome hands. Front staff girls are very kind also." "They have been taking care of my pets for over 15 years and I've always been impressed with their level of care and professionalism."  "Dearborn Family Pet Care has been the primary care provider for our rescue pup for over eight years. Routine vaccinations, worm and tick treatment as well as regular claw trims. The team handle the dog thoughtfully and have gained his trust and confidence - ours too!" "I am not a customer, but a friend of ours is. We've had to bring her cat into see you, we firmly believe that you saved her life. Then while still tending to our friends cat while she is away, you have been so exceptionally awesome. We thank you so much for that. We would absolutely recommend you."